1995 was the first year of the new normal for the Oregon wood processing industry. It was the first year of the Northwest Forest Plan and of the Eastside forest screens and stream protection measures, all of which were new government policies that resulted in significantly less logging coming from federal public forestlands in Oregon. Since then, 53% of Oregon' primary wood-processing facilities have closed, with a 53% loss of jobs. However, the remaining mills can process 25% more logs in 2012 than in 1995. Milling capacity increased for a variety of reasons. 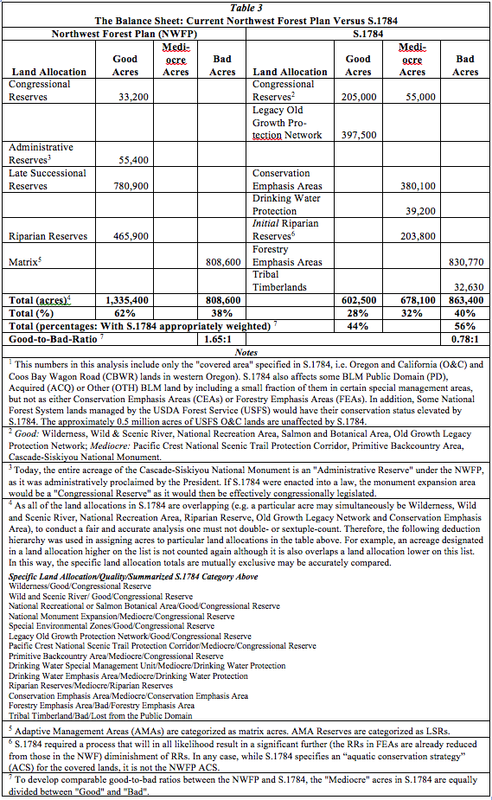 Some of these mills, who cannot compete with mills in Shanghai and Tokyo for private Oregon logs, seek to increase logging of older forests on federal public forestlands. There is too much milling capacity for either domestic lumber demand or for available log supply. The take-home message of this paper is this: While the number of mills and jobs have declined significantly, the timber-processing capacity of the remaining large softwood sawmills has increased significantly. While the number of all Oregon primary wood product manufacturing facilities and lumber and wood products jobs both decreased 53% between 1995 and 2010, between 1995 and 2012 the timber-processing capacity of the remaining large softwood sawmills increased 25% above the industry's 1995 levels. Large-capacity Oregon softwood sawmills have a milling capacity far in excess of current and likely domestic demand. These mills also are generally failing to compete with mills in China and Japan for Oregon private logs. Because they are being buffeted between low product prices and high supply prices, these mills seek to increase federal logging levels (federal logs cannot be exported and are thus significantly less expensive to domestic milling operations) from federal public forestlands. Production (utilized capacity) has declined dramatically with the collapse of the American housing bubble, but milling capacity has not (yet). • Nine mills with an obsolete business model that requires large logs from large trees that come from old forests that are no longer socially acceptable to log. You might find these tables from the report interesting.